I strongly believe that growth can only be achieved once we distance ourselves from the greatest adversary to creativity – our comfort zone. Moving beyond it often calls for a process of intuition or spiritual discernment through which new perspectives are configured and illusive fears conquered. The secret of change is to focus all our energy not on fighting the old, but on building the new (Socrates). It is within this context that I wish to put forward some points for reflection on the state of the Church in Malta. He continued to assert that “the Church’s mission is to facilitate an encounter with Christ. 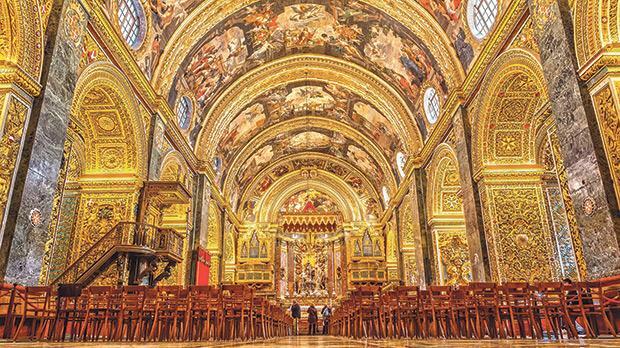 We need to ensure that our nostalgic passions for the past, our uncertainties and inner fears do not make us put forward a deformed Christianity” (‘A religion-less Christianity’, The Malta Independent on Sunday, April 15). Jesus promised his disciples his abiding, enduring, personal presence: “For where two or three are gathered in my name, there am I among them” (Matt.18:20). What this means is that the Church is a community that God has gathered as His own. It is a sacred community that the Triune God has chosen to bless with His presence wherever it comes together. The gradual decline in Mass attendance may not necessarily reflect a decline in faith. Far from it. I personally encounter many people of goodwill who are constantly searching to deepen their relationship with God through spiritual guidance but are finding it difficult to engage in the current Church setting. Pope Francis, in Rejoice and be Glad – a landmark new document on the call to holiness for all believers – urges Catholics not to allow a rigid adherence to rules to turn the Church into a museum, and insists that priests must become “passionate missionaries” rather than bureaucrats sitting behind a desk. He also said that Catholics must discern and adapt to change rather than opt for a rigid resistance to change that would block the working of the Spirit. The words of Mgr Grech resonates this call for change. In his own words, “it is the way we are presenting the Gospel, celebrating the liturgy, and our blatant incoherence that is causing people to feel spiritually deluded. We need to help a person make the leap from a religion of convenience to a religion of conviction, from a religion spurred by laws to a religion which gives us a taste of true freedom, from a religion of void rituals to a religion which opens us to the mystery, from a religion exhilarating in the sacristy to a religion which finds its place in the town square or in the digital social world” (‘A religion-less Christianity’, The Malta Independent on Sunday, April 15). There is no room for monologue homilies longer than most people are willing to bear, or homilies that simply state the obvious. The Church, and the Church is us, must work towards finding creative means to engage the faith community to worship in spirit and in truth, out of conviction rather than out of a mere religious obligation, beyond conformity to rigid rules towards a charity that knows no boundaries.